It found men are most concerned about their biceps, pecs and six packs, while women are hung up on their tummies, legs and bottoms. Men cited Hugh Jackman as the celebrity they would most prefer to look like, with Brad Pitt polling second. For the ladies, Kelly Brook and Holly Willoughby topped the list of celebrity physiques they would most like to have. The survey revealed 44% embark on regular exercise to stop them looking overweight, while 28% believe exercise can help them fight the signs of ageing. Two thirds of respondents said they feel toned after a workout, while 57% always feel thinner. Just under half of those polled admitted they are far more motivated to exercise in the lead up to a special occasion such as a party, birthday, wedding or holiday. Other motivators for exercise included wanting to: feel strong (37%), impress a partner (18%) and wanting to fit into a particular outfit (14%). One in ten also revealed they go to the gym in the hope of meeting someone and finding love. 11% candidly said they exercise to make themselves feel better after a night on the town. Image is clearly everything for many adults. It seems that people are not primarily concerned about damaging their body as long as they look good. Having a cavalier approach to exercise had led to many respondents injuring themselves. More than half admitted they did not warm up before starting exercise, with six in ten also confessing they don’t warm down either. 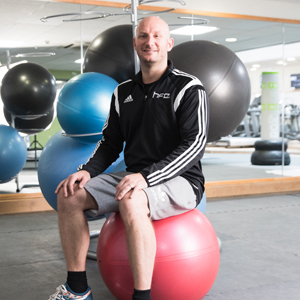 Four in ten admitted they had previously injured themselves while working out – strains, sprains and torn ligaments were the most common injuries. More worryingly, the results also revealed a large percentage of women (43%) and men (41%) had been forced to quit sport and fitness activities due to injury.